The under-recovery, or revenue loss, applicable on diesel for the first fortnight effective September 1 has been pegged sharply upwards at Rs 12.12 per litre. This compares to the under-recovery of Rs 10.22 per litre during the second fortnight of August 2013. “In the case of PDS kerosene and domestic LPG, under-recoveries for the month of September 2013 increased further to Rs 36.83 per litre and Rs 470.38 per cylinder, respectively. The under-recoveries during August 2013 on PDS kerosene was Rs 33.54 per litre and Rs 412.00 per cylinder on domestic LPG,” the petroleum ministry said in a statement on Monday. OMCs have been authorised by the government to increase the retail selling price of diesel within a small range every month. 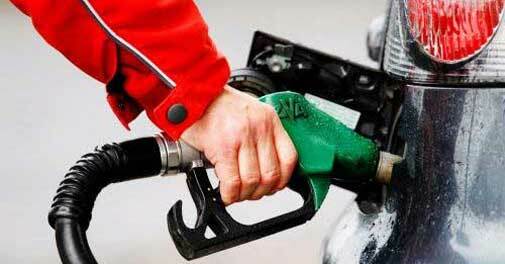 State-run Indian Oil Corporation has hiked prices of petrol and diesel by Rs 3.05 and Re 1 a litre, respectively, the increases being administered in two instalments during August. “OMCs (oil marketing companies), effective 1 September 2013, are incurring higher combined daily under-recovery of about Rs 470.38 crore on the sale of diesel, PDS kerosene and domestic LPG. This was Rs 389.00 crore for the previous fortnight effective 16.8.2013,” the statement added. The Indian basket crude oil price per barrel as on the last trading day of August 30 stood at $112.68, or Rs 7501.11, at the exchange rate of Rs 66.57 to a US dollar per barrel.